Growth Energy is celebrating ten years of advocating for ethanol since it was created in 2008. This edition of the Driving Ethanol podcast is the second in a series of three focusing on a decade of accomplishments for the organization. 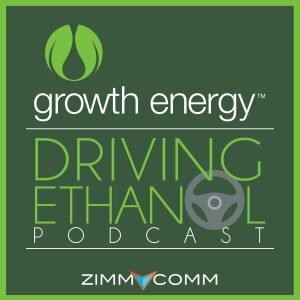 This episode reflects on how Growth Energy has proven ethanol’s performance value through the high profile American Ethanol partnership with NASCAR, which began in the 2011 season. It features comments from Growth Energy CEO Emily Skor, former NASCAR CEO Brian France, POET CEO and Growth Energy co-chair Jeff Broin, Marquis Energy CEO Mark Marquis, former National Corn Growers Association presidents Bart Schott and Darrin Ihnen, Richard Childress Racing CEO Richard Childress, and NASCAR driver Austin Dillon. To listen to Part 1: The Early Years, click here. Driving Ethanol is a subscribable podcast that can be found in iTunes and other podcast directories. A complete interview with Growth Energy CEO Emily Skor on the 10th anniversary is also available. Skor discusses how the organization has made strides in proving ethanol’s performance value, growing biofuels markets, and advocating for ethanol policy. Background information can be found at GrowthEnergy.org.